Ljubljanska zasedba Čao Portorož po predlanskem prvencu Čao Portorož napoveduje drugo ploščo naslovljeno Čao Portorož. 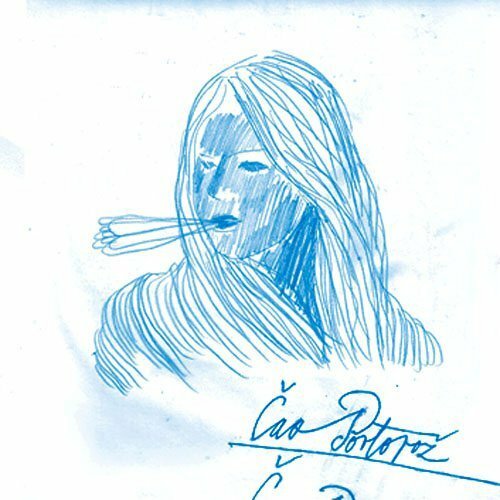 Vse kar ustvari Čao Portorož je Čao Portorož. Logično? Seveda! 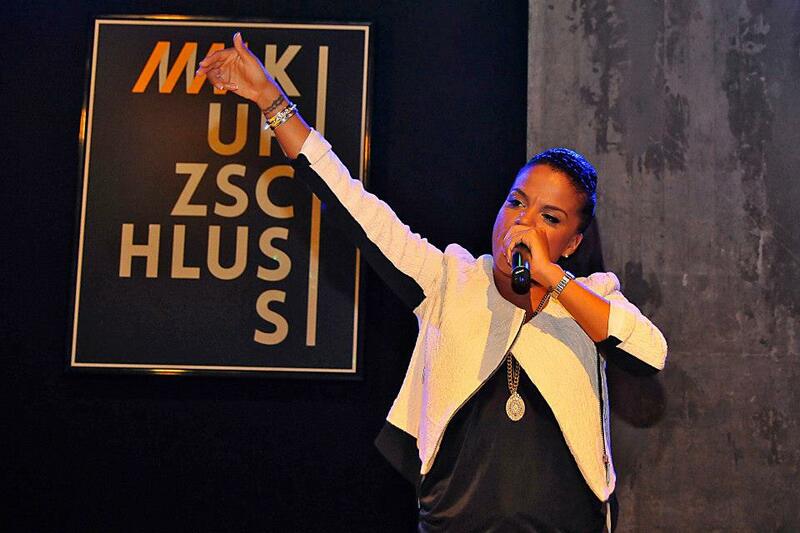 Ms.Dynamite was performing alongside DJ Three on 28.12. in Pop-Up club KURZSCHLUSS in Ljubljana. We talked with her before she went on stage and smashed it. Q: Who is Ms. Dynamite? 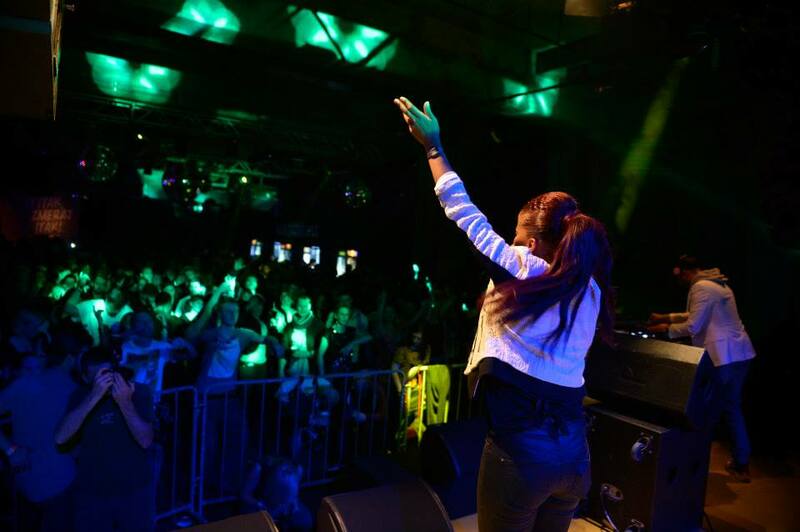 Ms. Dynamite: It’s young woman with lot’s of energy and lot’s of vibes. Q: Whould you say that is hard to be musician in digital era. Do you do this for living? Ms. Dynamite: I’m definitely doing this for a living for 13 years, maybe more. My first record deal was 10 year ago. Q: Can you tell us a bit more about your first record deal? Ms. Dynamite: First record I did was underground tune called BOOOM! with STICKY. Q: There is connection between You & Sticky? Ms. Dynamite: He was first producer/DJ, that I ever made tune with. We had really good musical relationship, he understood me very much because we both come from reggae background. Q: What do you think of Reggae music today? Ms. Dynamite: I love it. It’s part of who I am. Q: You have worked with some of the biggest producers in the business. How do you choose producers you work with? Ms. Dynamite: I don’t feel like I choose the producers, I feel like music chooses us if this makes any sense. Some amazing producers gave me their beats and I’ve tried to write to the beats, but it hasn’t quite worked. I would never make myself do something just because big producer did the riddim. If it doesn’t sound good, then I’m not gonna do it. Q: So it doesn’t matter if I’m big producer or I’m just producer from Ljubljana? Ms. Dynamite: I made songs with some unheard producers which are just coming up, one of them is SOLID CREW. I really like the stuff we’ve been doing it, so I’m very excited about that. Recently I’ve tried to do songs with some big producers, but the vibe is really important to me. I feel that I don’t choose them or they choose me, it’s just the vibe must be right. Q: What you think about dubplates? Back in the day, dubplate was really something special, but today you just pay the money and you get your dubplate…. Ms. Dynamite: I think this is just reflection of where music is today. Back in the days dubplate was really something special. Money couldn’t buy that. Like I could record song tonight and tomorrow morning it will be already on ITUNES. I think that music business today is more business then ever. Q: What is the price for your dubplate? Ms. Dynamite: You know what I’ve never ever sold a dubplate to anyone. Anybody that wanted special from me, didn’t have to pay. Q; What is your message to young artists? I think not my message, but something people should probably think whatever you wannabe artist or you just wannabe famous, because they are 2 very different things that require different energy,different mind set, different thinking, different focus. Some people are genius artists and they come into music with sound, opinion,vibe and some people come to music just to be famous and they lose their path. Q: Music industry is really hard & strong today. They can eat you or they can put you on the right path. Ms. Dynamite: Yeah but I think it’s on you as an artist to decide what you want first, before you get to that point, because if you don’t know what you want, then it’s very easy for them to guide you into decisions you don’t want to be in. In industry you have artists and you have entertainers. And entertainers are often classed as Fake, but it’s not necessary that they are fake, because they are entertainers they don’t care, they are willing to go this or another way. Where as an artist, for real genuine artist it is hard to hold on your sense of who you are as an artist if you don’t know and you haven’t made this decision when you stepped into the music. Music can be very difficult. Q: How do you look on you career from begging till now ? Ms. Dynamite: To be honest I’m really thankfull for all the things that happened to me on the begging, but I really don’t look back to be honest. I see myself as a brand new artist who I am today and not what happened all these years ago. Q: Do you feel that your music has become more party orientated in the past years and not so deep and with message as it was in the past? Ms. Dynamite: I think that for me there are 2 very strong elements as who I am as an artist. 2nd is very spiritual and soulfoul and it depends in what kind of mode I’m in. Whether you get energetic MS. DYNAMITE or you wanna sit down and really listen and let it touch your heart. So music I’ve been doing recently is much more energetic, jumping all around, sweatin. But the music I’ve been doing for my album…. Q: Speaking of album. It already passed 8 years from your last album. When can we expect your new album ? Ms. Dynamite: (Laugh from Ms. Dynamite & DJ TREE) The album will definitely be this year. Q: You released your solo single NEVA SOFT 2 years ago & and you also collaborated with artist like Shy FX, DJ ZINC,MAGNETIC MAN. Will you have any new releases before your album? Ms. Dynamite: DIBBY DIBBY SOUND is done with DJ FRESH and it will be released in February. Q: Which is the artist that you would like to collaborate? Ms. Dynamite: I just came working from Jamaica, there is artist called CHRONIX and he is like reggae, very roots, he has amaizing melody. Q: Ok and now one artist from outside your ”comfort zone” ? Ms. Dynamite: I would like to work with…. hm…..out of my comfort zone? (small chat with DJ FREE) – PRODIGY, would you say Prodigy is still in my comfort zone. I would like to work with George Michael. You know with who I would really like to work with – DOLLLY PARTON. Q: If you could do your own festival or event who would be your TOP5 headliners? Ms. Dynamite: My TOP5, this is very difficult. I’m gonna say it straight of my head: SHY FX, DAVID RODIGAN, MAJOR LAZER, DJ FREE, CHINESE ASSASIN maybe. 5 is too litle. My Line -up would be 2 weeks long. Few words about Chris Eckman. Chris is american musician from Seatle living in Slovenia from 2002. He is a vocalist in cult american band The Walkabouts. The Walkbouts have been formed in 1983 and have released more then 15 albums so far. Their last album is titled Travels in the Dustland and it was released in 2011. Travels in the Dustland is a collection of interconnected songs. It is a song cycle. The Dustland is a made up place but it looks and acts like a real place. While different characters come and go throughout the songs, the most important character is the landscape itself: Its vastness, its endless skies, its scarcity, its hidden opportunities and its rugged dead-end roads. But more than being an idea, this album is obviously a collection of music. We wanted songs and sounds as wide-open as the landscape that inspired us. We wanted an album with a mood of experimentation but also an album that played to our strengths as musicians. Presentation of the album on Val202 show Telstar – Link. Follow The Walbouts: Homepage , YouTube channel. 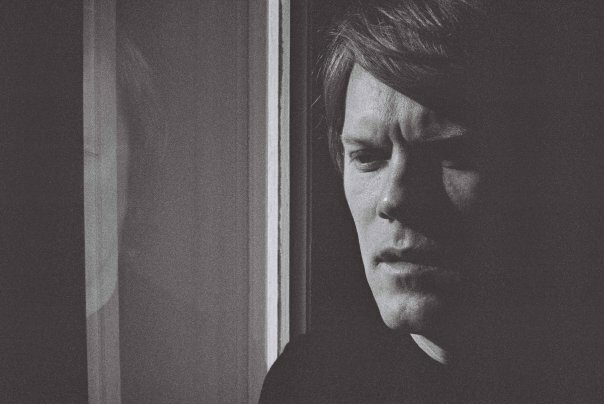 Chris Eckman released his first solo album A Janela (which means “The Window” in Portuguese) in 1999 when he lived in Portugal. In 2004 he released his second album titled The Black field. Few songs from the album: Nights like these, Crystalline, Pirates Clowns, Why Can’t I Touch It?. He also released album together with Croatian group The Bambi Molesters in 2004. They joined together and formed group called The Strange. Album was titled Nights of forgotten films. In 2008 he contributed music for for documentary film: DAR FUR – War for Water which was directed by Tomo Kriznar & Maja Weiss and was premièred in Cannes film festival. Chris Eckman collaborated with many musicians in his career: Steve Wynn & The Dragon Bridge Orchestra , Willard Grant Conspiracy, The Bambi Molesters , My Buddy Moose, Vlado Kreslin, Melodrom, The Frictions and many more. NOTHING LEFT TO HATE is first song From his solo album “Harney County”. Coming out December 6th/2013 on Glitterhouse. More info’s about the album – LINK. HE WILL PRESENT HIS NEW ALBUM HARNEY COUNTY on 21.1.2o14 @ Klub Cankarjev dom.